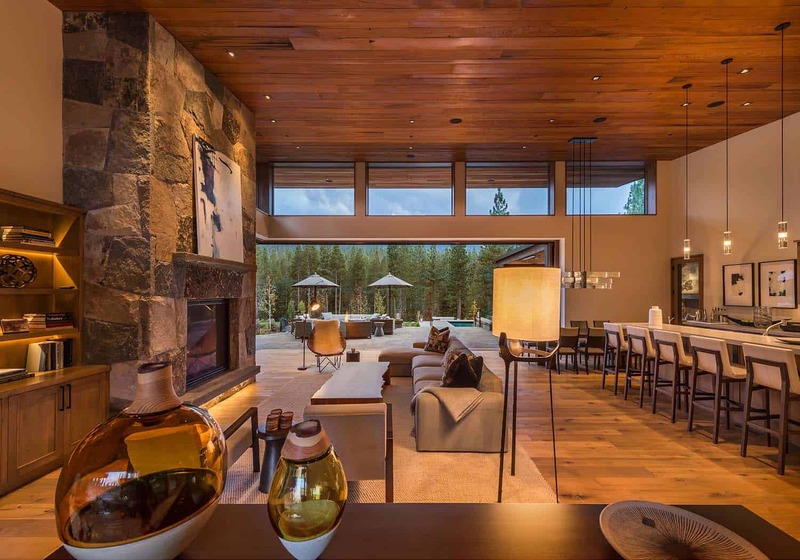 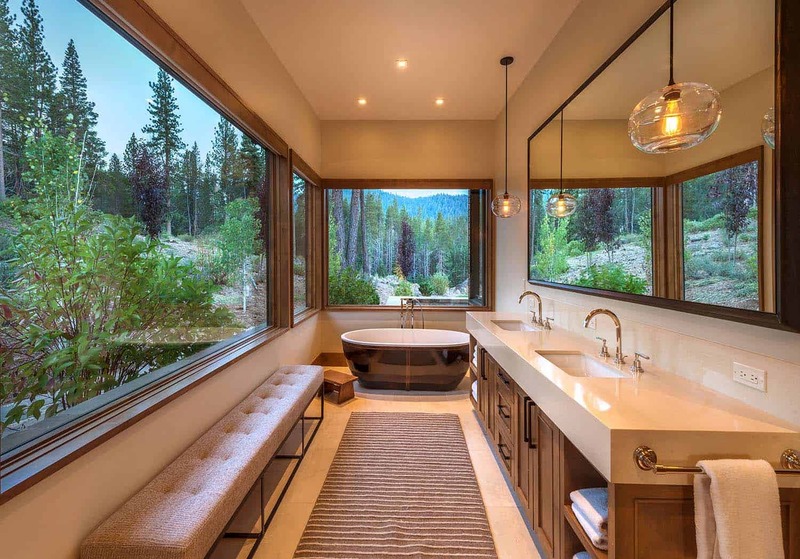 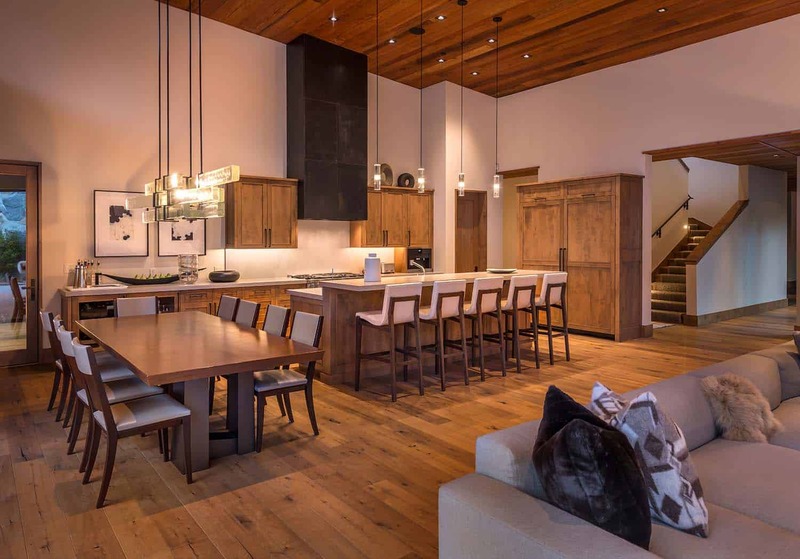 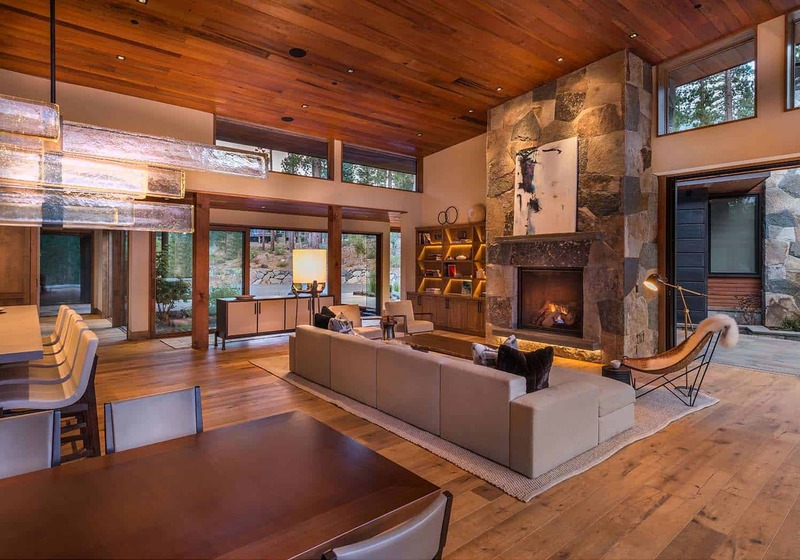 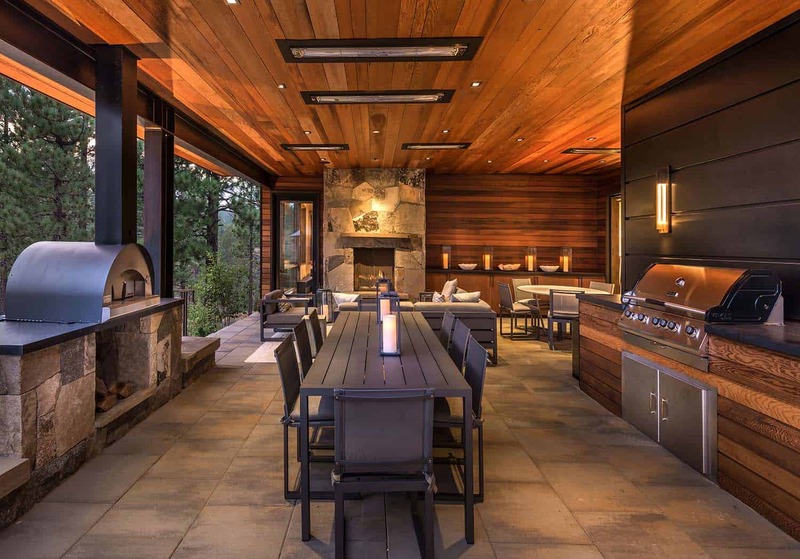 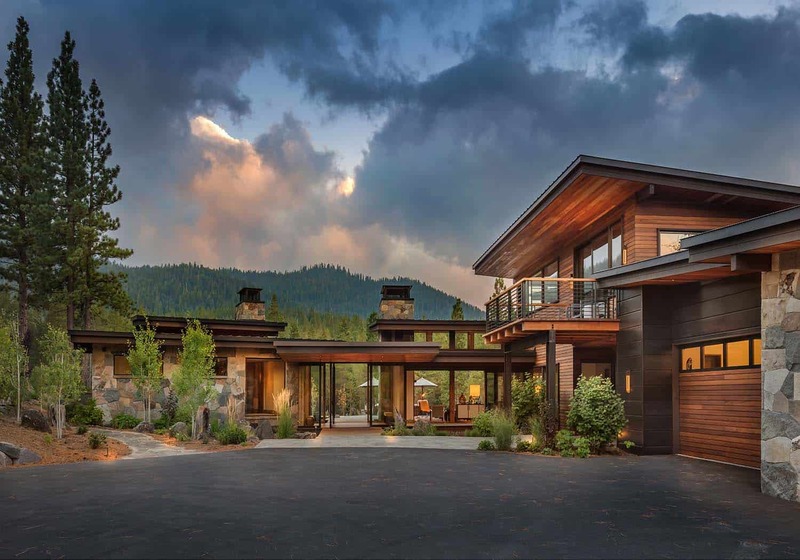 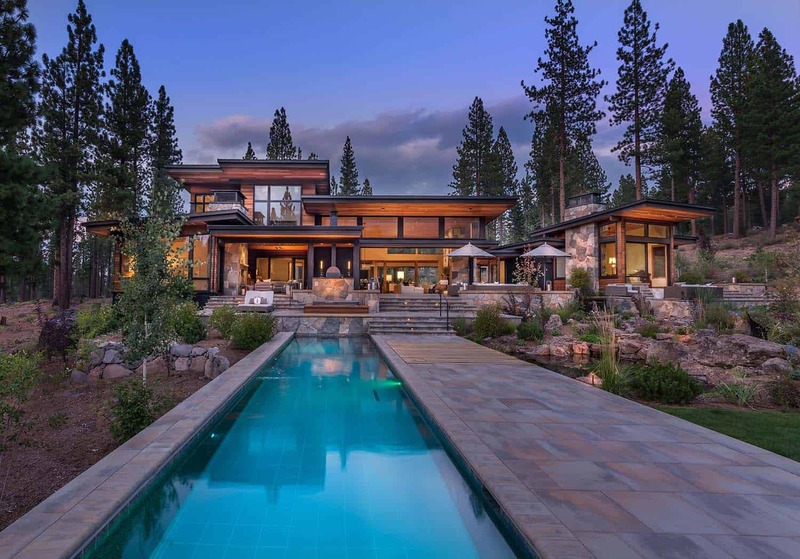 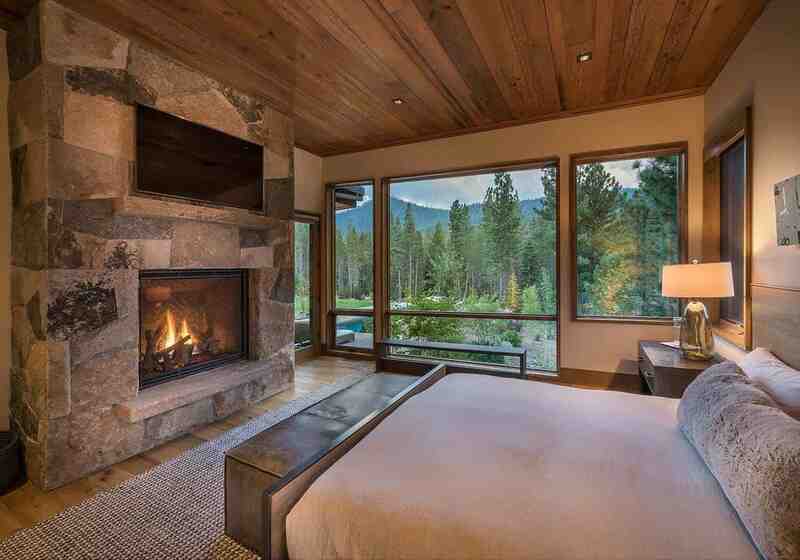 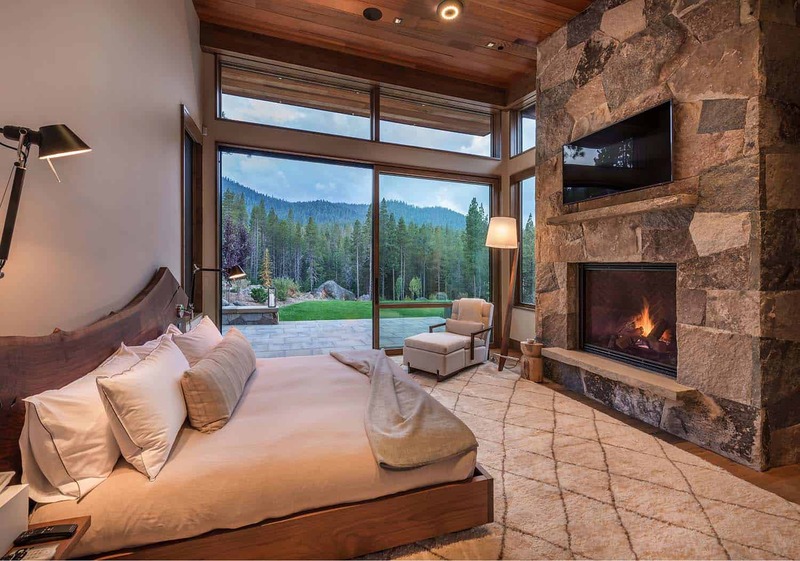 This stunning modern mountain home was designed by Ryan Group Architects in collaboration with Jim Morrison Construction, located in Martis Camp. 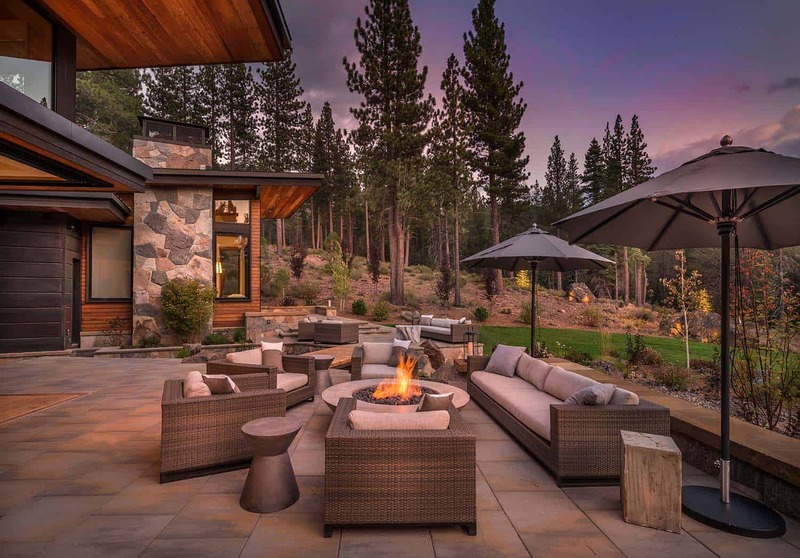 Martis Camp is a private residential community located in the most pristine and convenient acreage in Truckee, California. 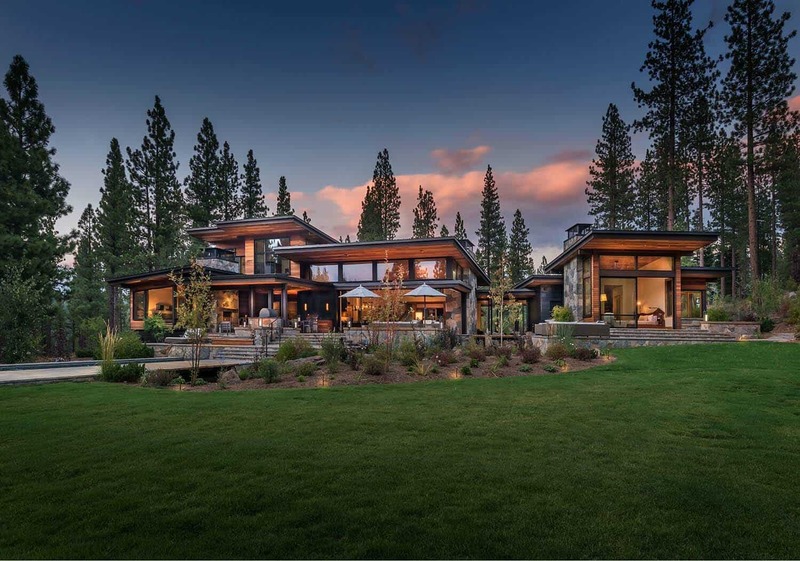 Exemplifying indoor-outdoor living, this 6,500 square foot dwelling celebrates its Sierra setting with a 40-foot wide pocketing door system and a corner-free structure. 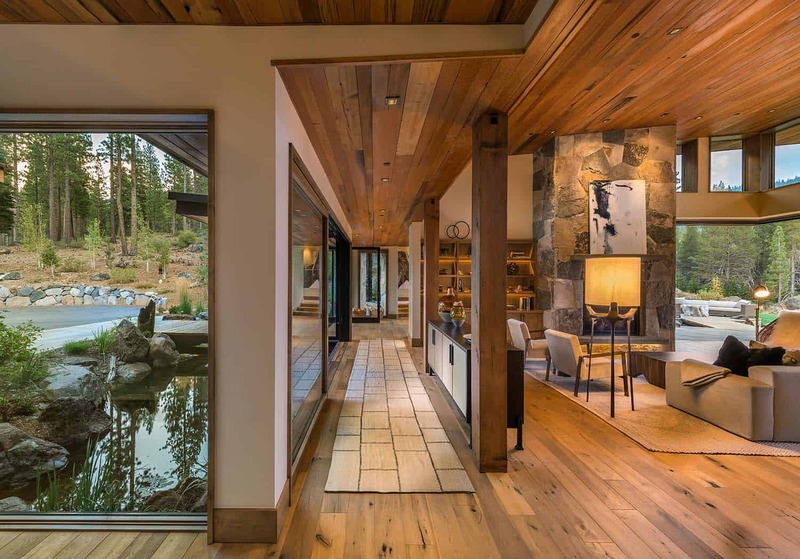 A spectacular guest entry bridges over a water feature which cascades from the auto-court to the back yard, terminating in the home’s private lap pool. 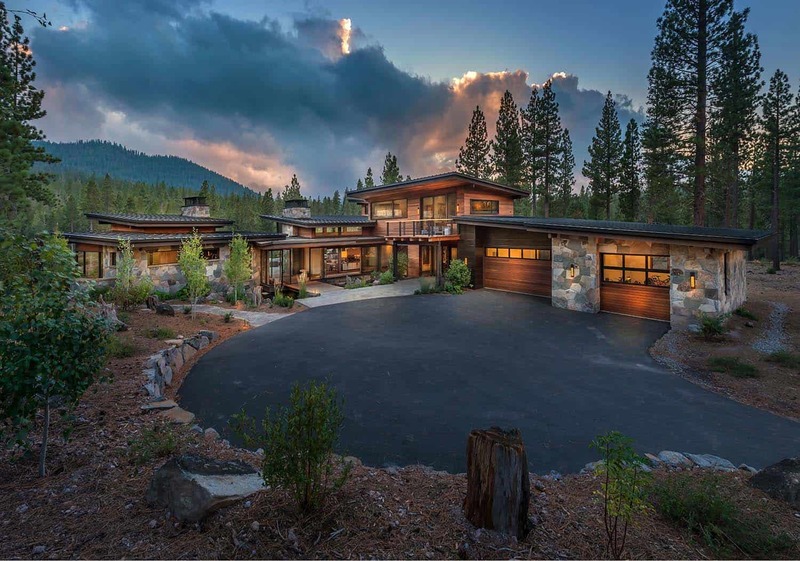 Reclaimed redwood siding, blued-steel and granite, give this modern mountain home its warmth and charm. 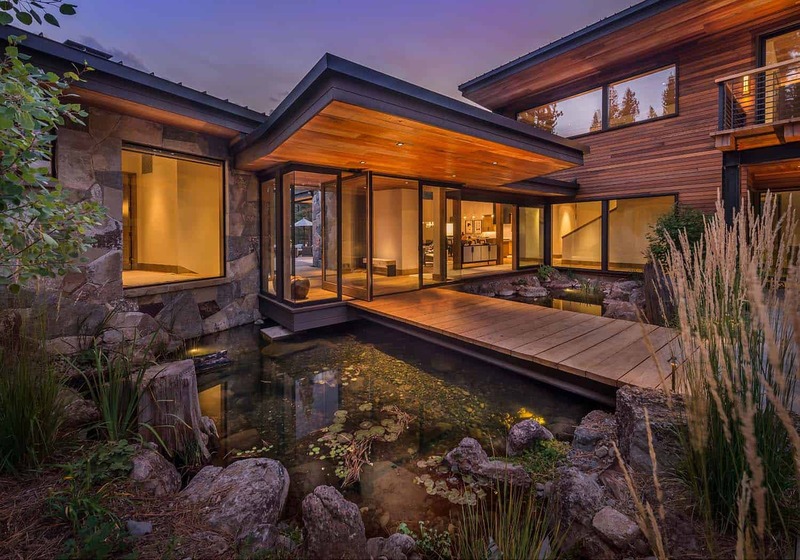 Highlights to this home includes: roof lines that reach to sun and views, a streamscape water feature, private swimming pool, outdoor kitchen with pizza oven, pocketing Weiland Doors and corner glazing. 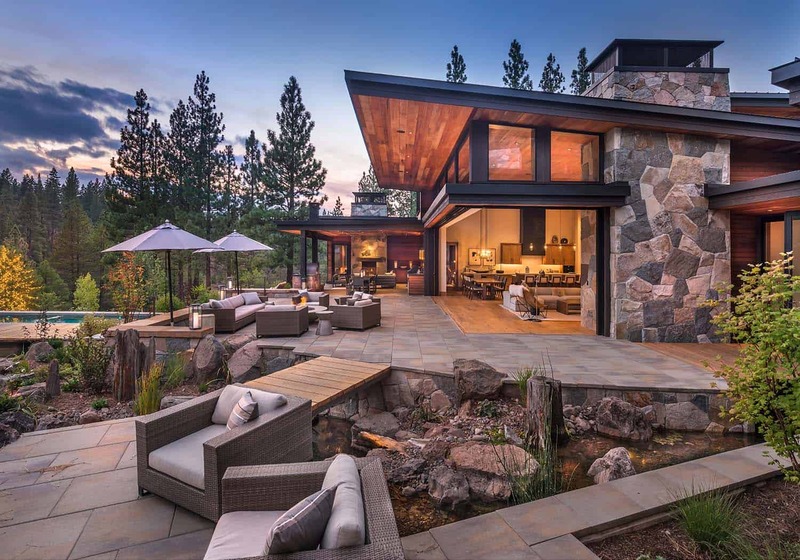 What We Love: This incredible modern mountain home offers clean lines and sophisticated interior styling. 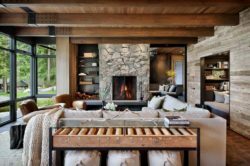 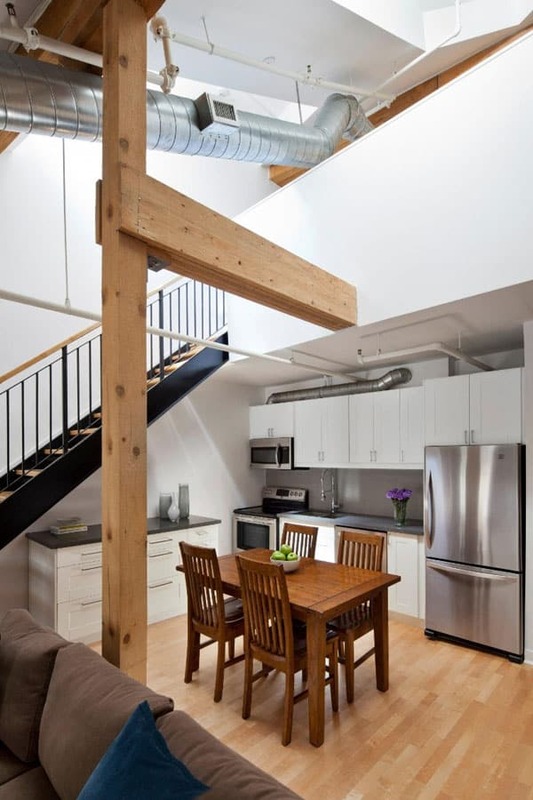 The living spaces are loaded with warmth and relaxed comfort thanks to the heavy used of wood on the floors and ceilings. 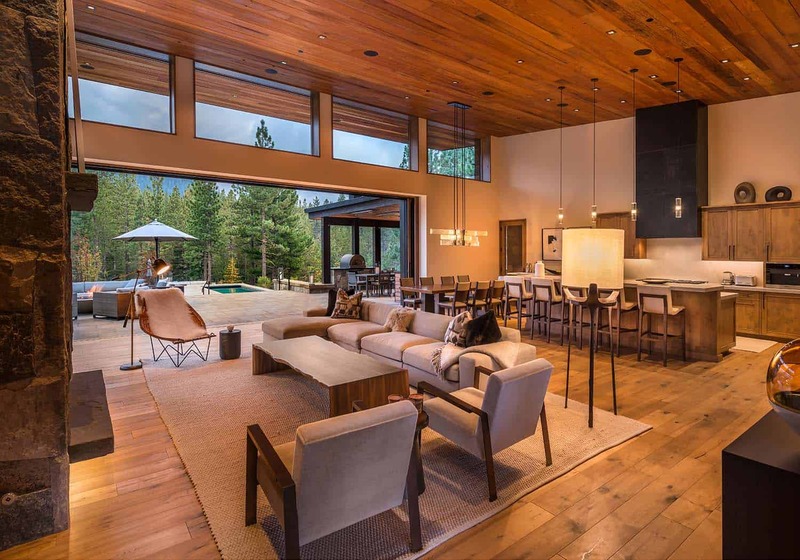 The boundary between indoors and out are blurred courtesy of expansive windows and lift and slide doors that pocket into the walls! 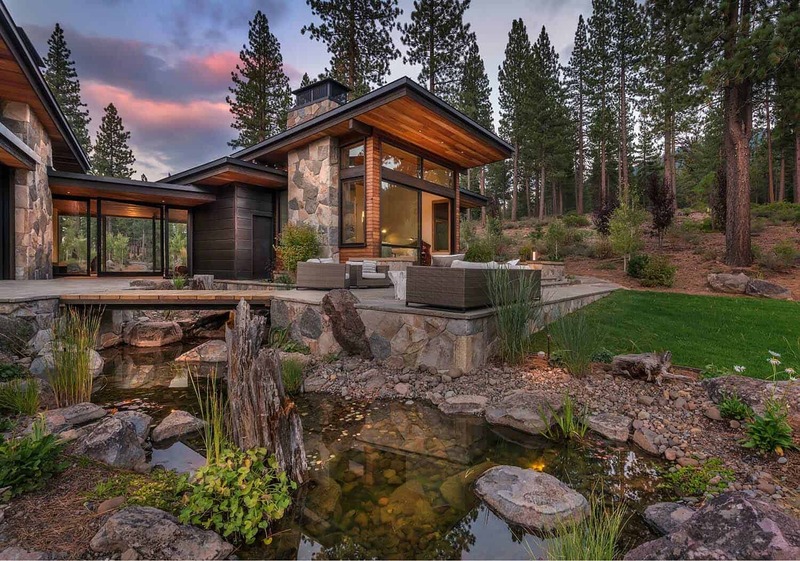 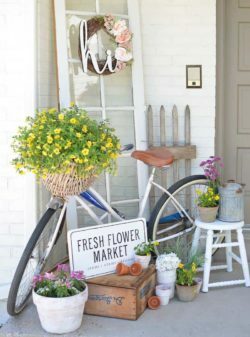 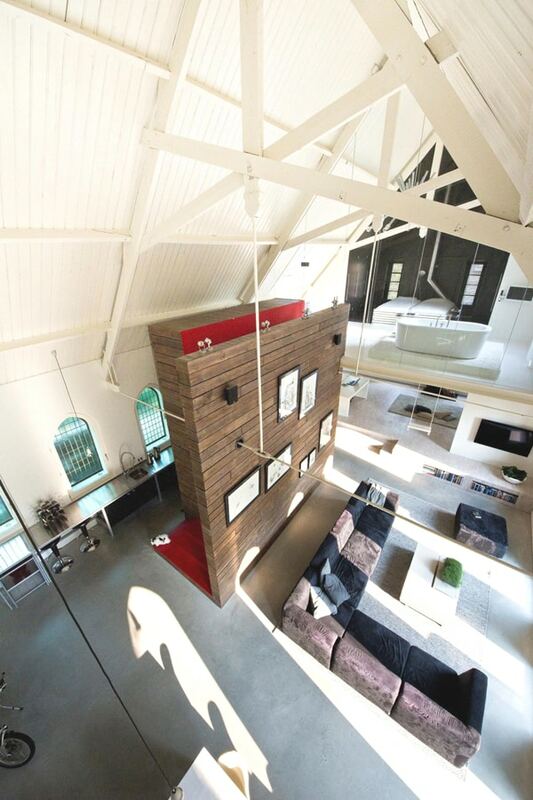 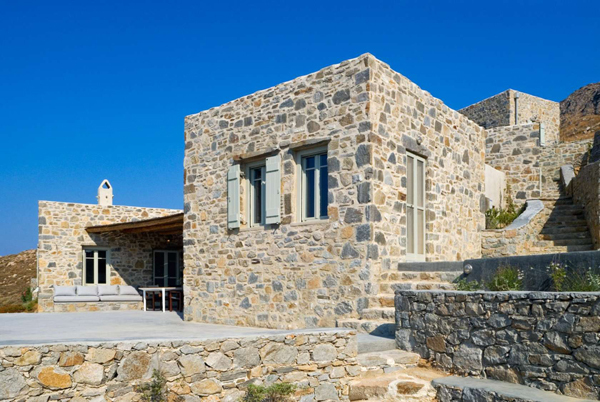 …Readers, please share what details in this home caught your eye and why in the Comments below! 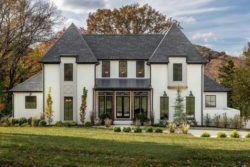 Note: Have a look below for the “Related” tags for more amazing home tours that we have featured here on One Kindesign from the portfolio of Ryan Group Architects. 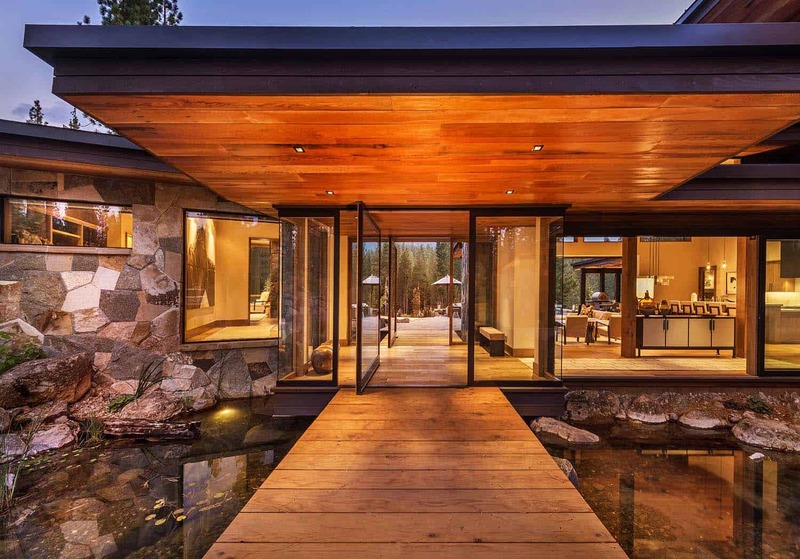 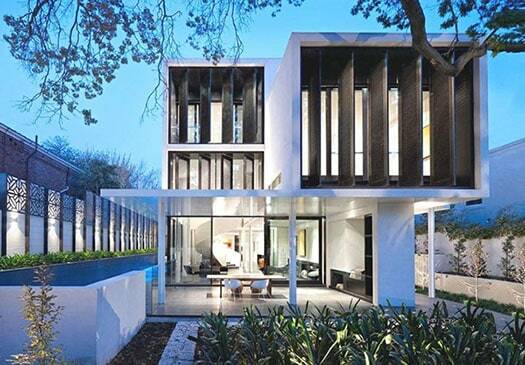 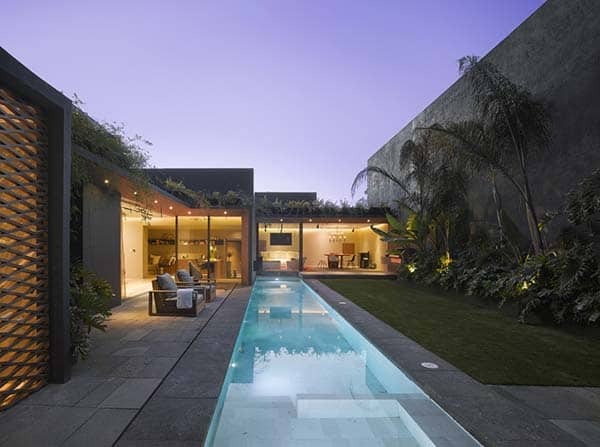 Above: An entry bridge leads visitors into this incredible home, set over a water feature.